Dale graduated from Arizona State University with a Bachelor of Science in Management and started his business career at the Industrial Commission of Arizona. He has over 40 years of experience in risk and quality management related positions. He has worked for an insurance company and two multi-state integrated health systems as an insurance broker and as a regulator. Dale has been responsible for self-insured workers’ compensation programs, including funding, claims administration, and injury prevention, including life safety, environmental, radiation, and construction safety, as well as emergency management and occupational health programs. He has been the chairman of the board of a health insurance company and a vice chairman or member of four other civic and nonprofit boards. Dale has also developed and managed several “off shore” captive insurance companies for healthcare systems. 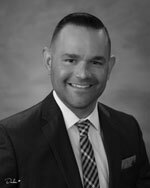 Joseph M. Hennelly, Jr. is a co-founding member of a Phoenix law firm that focuses on insurance regulatory, employee benefits and insurance receivership matters. Mr. Hennelly's legal practice covers a broad spectrum of insurance and insurance regulatory matters, including the representation of various entities in the workers' compensation arena. His practice also involves insurance insolvency and receivership matters (including several which involved insurers with significant workers' compensation business), wherein he represents the Director of the Arizona Department of Insurance (ADOI) in her capacity as receiver of insurance companies. Mr. Hennelly's prior public service includes his tenure as the Deputy Director of the ADOI. As Deputy Director, Mr. Hennelly was responsible for overall regulatory and administrative functions at the ADOI, which included the ADOI's regulation of workers' compensation insurance companies and related matters. Additionally, Mr. Hennelly has served as an Assistant United States Attorney and as an Assistant Arizona Attorney General. Scott LeMarr retired as Owner of Palo Cristi Stone Masonry Company in 2010 and then served as the Mayor of the Town of Paradise Valley from 2010 until January of 2015. Prior to his two terms as Mayor, Mr. LeMarr also served the town as Council Member for 8 years, Chairman of the Planning Commission, and as head of the General Plan Advisory Board. During his 30 years as owner of a construction company, Mr. LeMarr served on several trade and industry organizations. He was a participant Board of Directors for the Small Business Advisory Board of the Department of Labor OSHA Practices Task Force. 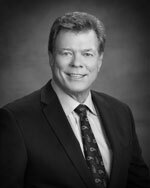 Mr. LeMarr is currently a Board of Trustees member of the Maricopa County Self Insurance Risk Management Trust. Steven J. Krenzel, is a proud Michigan native and a graduate of Western Michigan University. He is presently the Managing Vice President of the Phoenix Private Bank for Bankers Trust Company of Iowa. Beginning in 2003, Mr. Krenzel has worked exclusively in the financial sector in various roles. Mr. Krenzel and his wife have called the Copper State “home” since 2007. 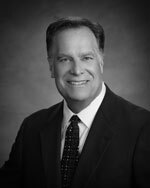 Prior to serving with Industrial Commission of Arizona, Mr. Krenzel served as a local Advisory Board Member for Local Initiatives Support Corporation (“L.I.S.C.”) and was appointed by the Governor to the Arizona Housing Finance Authority. 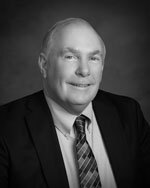 Throughout his banking career that has spanned more than fifteen (15) years, Mr. Krenzel has had the privilege of working with the business community creating success story after success story. He is able to achieve this consistent level of accomplishment through a specific approach of understanding the needs of small to mid-sized businesses. He will continue that approach to work closely with our stakeholders and the business community, while protecting Arizona’s workforce.